WEST LAFAYETTE, Ind. – Feeding a hungry toddler can be one of the biggest challenges parents and caregivers face every day, especially when trying to provide healthy meals quickly. Young children need a diet to provide key nutrients such as iron, calcium, vitamin C, fiber, potassium and more to grow and be healthy. Regan Bailey, a registered dietitian and nutritional epidemiologist, understands the issue and works on simple changes in diets, complete with the proper amount of nutrients to keep us healthy. Some of the greatest unknowns about the human diet involves the toddler age range. 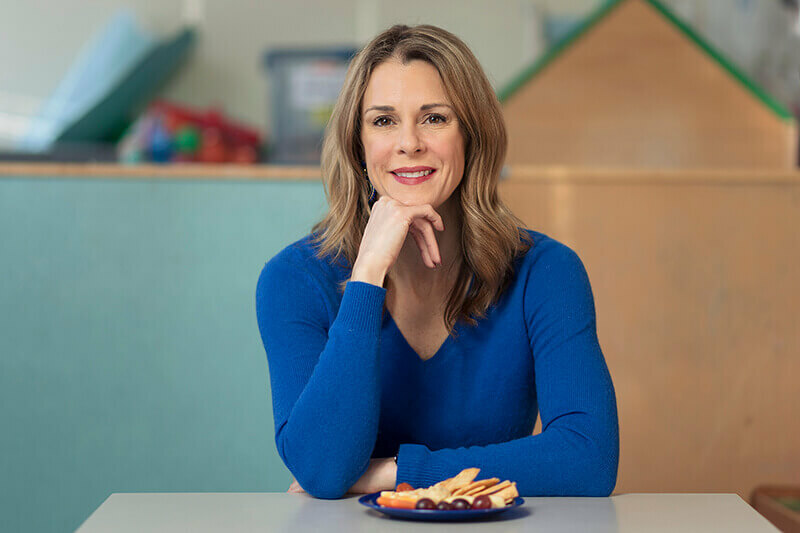 “Right now, it’s hard to track what toddlers are eating every day as one-third of their calories come from snacking,” said Bailey, an associate professor in Purdue University’s Department of Nutrition Science who has collaborated on or led several studies on the American diet. Through the Feeding Infants and Toddler Study 2016, Bailey and others researched nutrition issues in infants, toddlers and children who did and did not participate in the Women, Infants and Children Program (WIC). They discovered that overall, infants less than 12 months generally had “nutritionally adequate” diets, but about 20 percent of infants 6 to 12 months of age had a low intakes of iron. Iron helps prevent anemia, which is low oxygen levels in the blood which impacts cognitive development. When infants transitioned to table foods at around 12 months of age, nutritional gaps started to form that tended to last. Toddlers had too much sodium, sugar and saturated fats and too little potassium, fiber and vitamin D in their diets. Calcium and vitamin D help with bone development. Too much added sugars and saturated fat can lead to obesity and other health issues. One way to address nutrient deficiency in children is by encouraging children to eat a variety of foods. “An easy way to make meaningful changes to thediet would be to encourage fruits and vegetables as snacks,” Bailey said. The study did have one surprise as the same nutrientional concern existed between children and adults. “If parents aren’t eating optimally, then it will impact the children. If parents are modeling good behavior, it will help their children,” Bailey said. Bailey encourages parents not to give up on providing healthy food, as it can take up to eight to 10 attempts with a certain food item before children eat it. Researchers and policymakers have been working throughout the years understand the challenges in feeding children healthy diets. Strategies are needed to incorporate access to fresh fruit, vegetables, whole grainss and lower fat dairy. About one-thids of U.S. children are taking some type of dietary supplements – such as a multivitamins – to help address deficiencies. 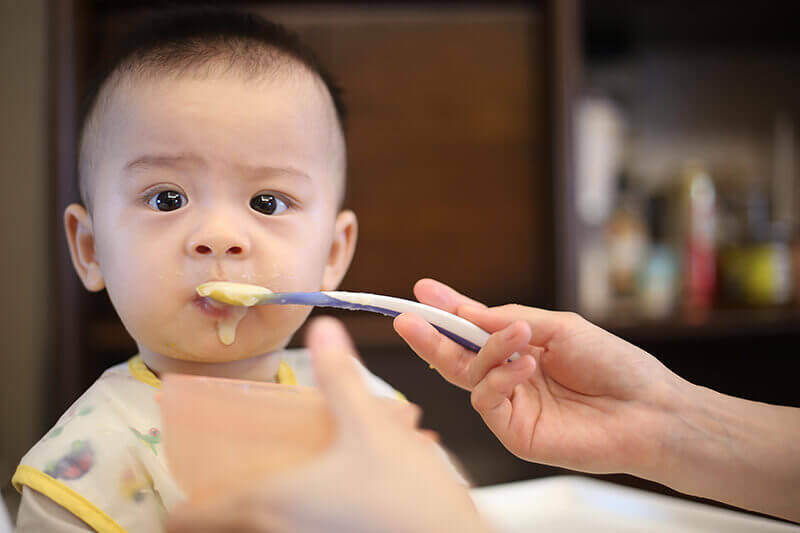 Another aspect of addressing deficiencies is through the 2014 Farm Bill, which required the addition of data and information on infant/toddler nutrition in the 2020-25 dietary guidelines. This is the first time that infant/toddler nutrition information is required since the guidelines were issued more than 35 years ago. “Small changes can add up over time to make a difference,” Bailey said. Bailey’s health research aligns with Purdue’s Giant Leaps celebration, acknowledging the university’s global advancements made in “Health, Longevity and Quality of Life” as part of Purdue’s 150th anniversary. This is one of the four themes of the yearlong celebration’s Ideas Festival, designed to showcase Purdue as an intellectual center solving real-world issues.